Jared Unzipped: A Bouquet Of Colorful Cauliflower! Perhaps you've seen it in your local grocer's produce section. Just sitting there, looking like alien brains from another planet. Cauliflower... but it's not white. AHHHHHHHHHH! Relax. There's no need to worry about an invasion of brain-sucking body snatchers. What you're seeing isn't extra-terrestrial fungus, either. It's just cauliflower, completely natural in every way. Most people are familiar with typical white-colored cauliflower. We've all eaten it at some point. I happen to be a big fan of cauliflower, more so than even broccoli. 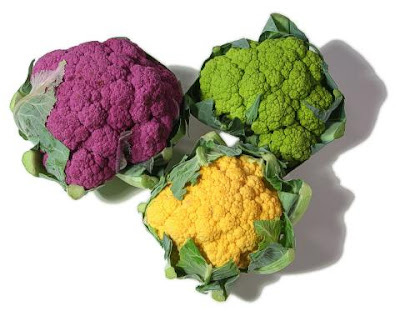 Yet, cauliflower can also come in three other different colors -- orange, green and purple. These changes in hue are natural thanks to mutations in the cauliflower itself. Orange cauliflower results from high levels of beta-carotene. This is the same substance that makes most commercially-bred carrots orange. 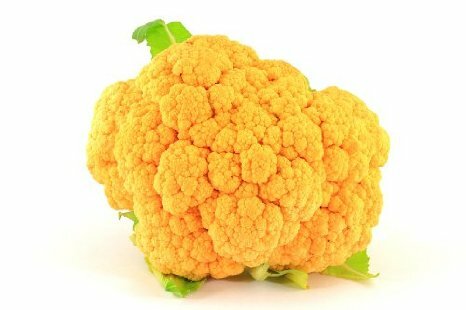 Much to your benefit, orange cauliflower also has 25% more Vitamin A than your average head! 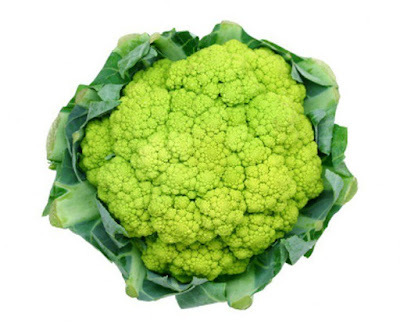 There's more than one variety of green cauliflower, also known as broccoflower. Some varieties are mutations of cauliflower that happen to produce chlorophyll. Others are hybrids between broccoli and cauliflower. Either way, green cauliflower is extremely nutritious. It has high levels of protein, more than either traditional cauliflower or broccoli. Thanks to the presence of the antioxidant anthocyanin, there is purple cauliflower. Anthocyanin is also found in red cabbage and red wine. 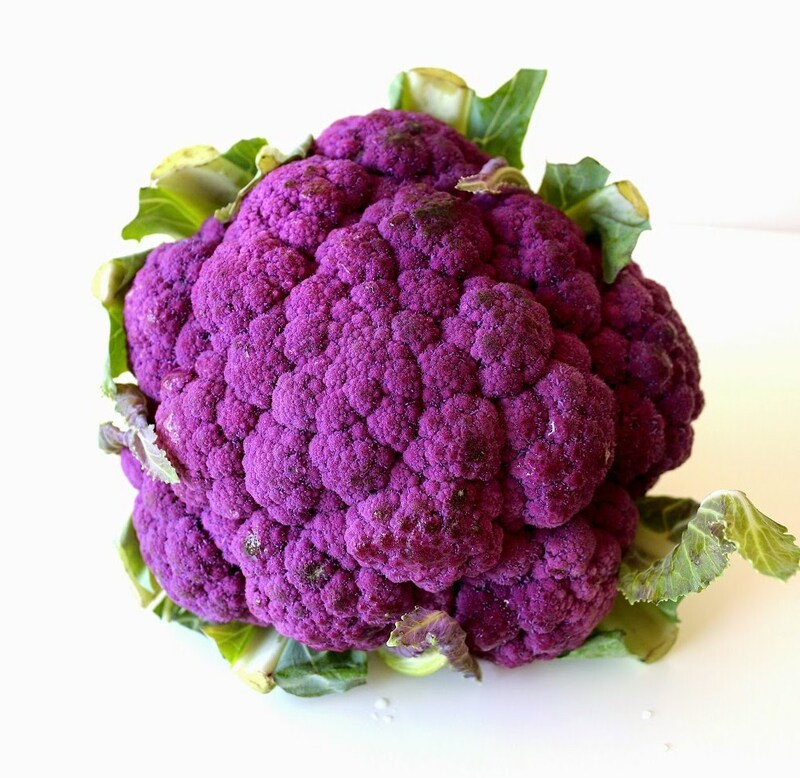 Purple cauliflower doesn't offer any real health benefits over white cauliflower, but it sure is pretty to look at! And there you have it -- a plethora of colorful cauliflower choices. Give one a try the next time you have a craving for the bushy, firm-textured plant!